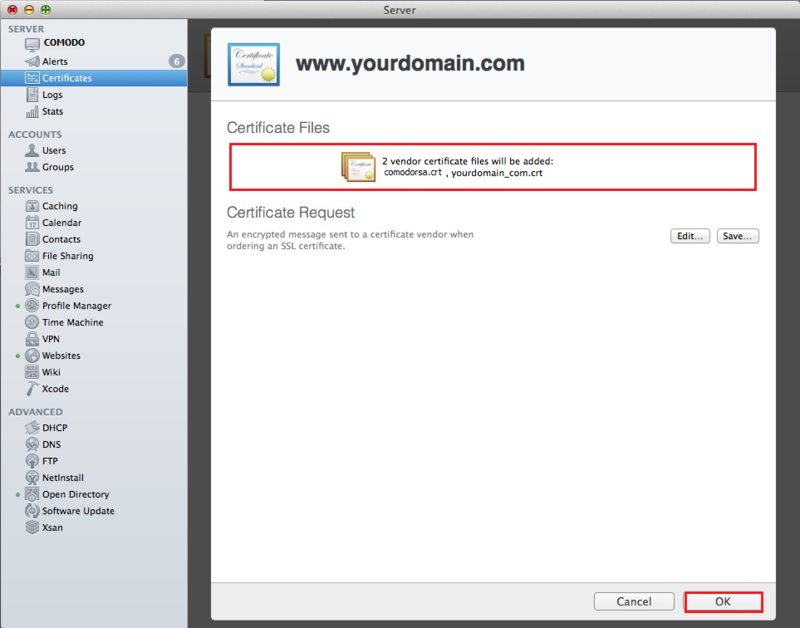 Open the ZIP file containing your SSL Certificate and save the SSL Certificate file (yourdomain_com.crt) to the desktop of your Mac server. Keep this folder open so that you can readily access your SSL Certificate (yourdomain_com.crt) and the XYZ RSA Intermediate Certificates (ex: XYZ.crt) files. 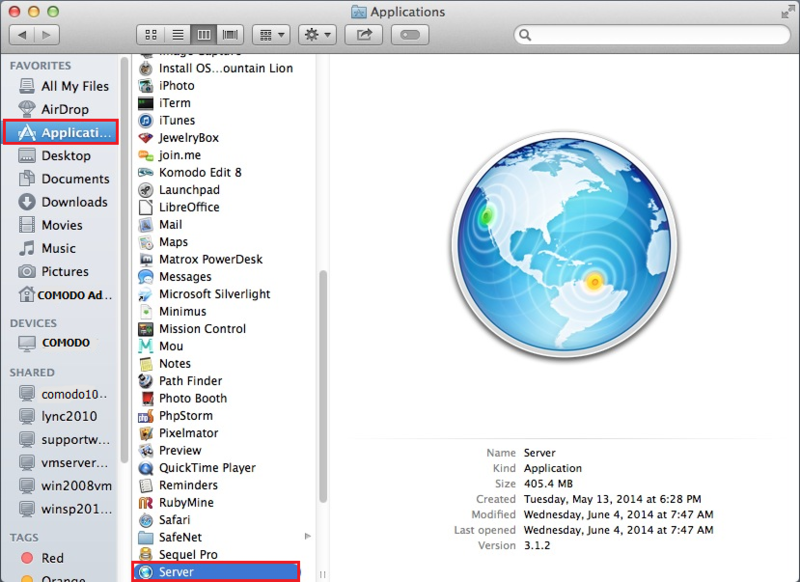 In the Finder window, under Favorites, click Applications and then double-click Server. In the Server window, do one of the following actions to select the server on which you want to install your SSL Certificate. Note: You should select the server on which you created the CSR. 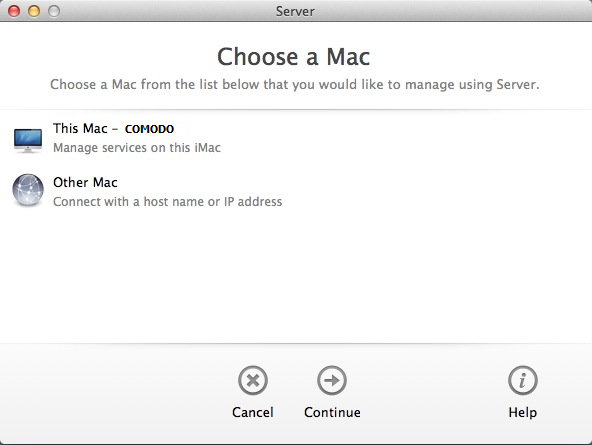 Select This Mac – YourServerName and then click Continue. Enter your Administrator Name and Administrator Password and then click Connect. Select Other Mac and then click Continue. Enter your Host Name or IP Address, your Administrator Name and Administrator Password, and then click Connect. In the Server window, under Server, click Certificates. On the Certificates page, double-click on the Pending certificate that you created when generating the CSR. On your certificates page (i.e. www.yourdomain.com), under Certificate Files, in the Drag files received from your certificate vendor here box, drag-and-drop your SSL Certificate (yourdomain_com.crt) and the XYZ.crt files. Hold down the command key, select both files, and then drag them to the box and drop them. 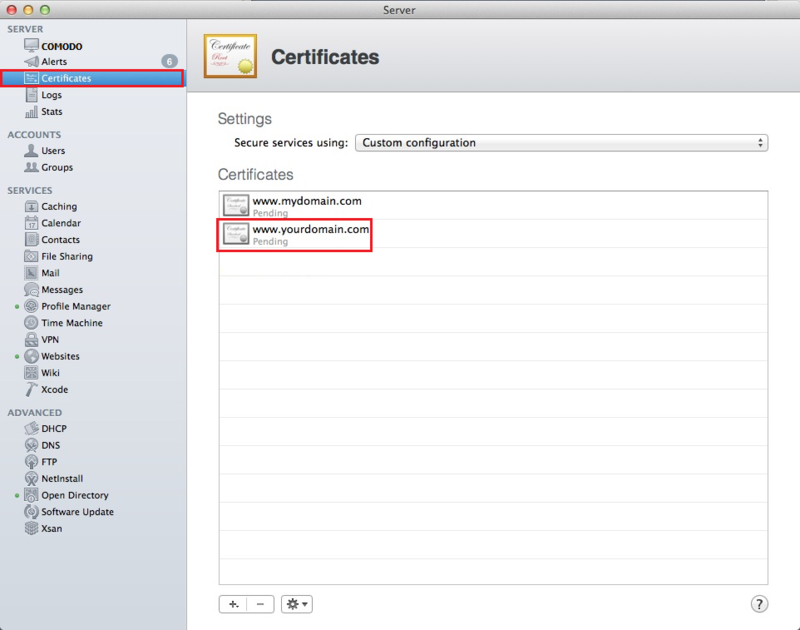 On the Certificates page, in the Secure services using drop-down list, select Custom. 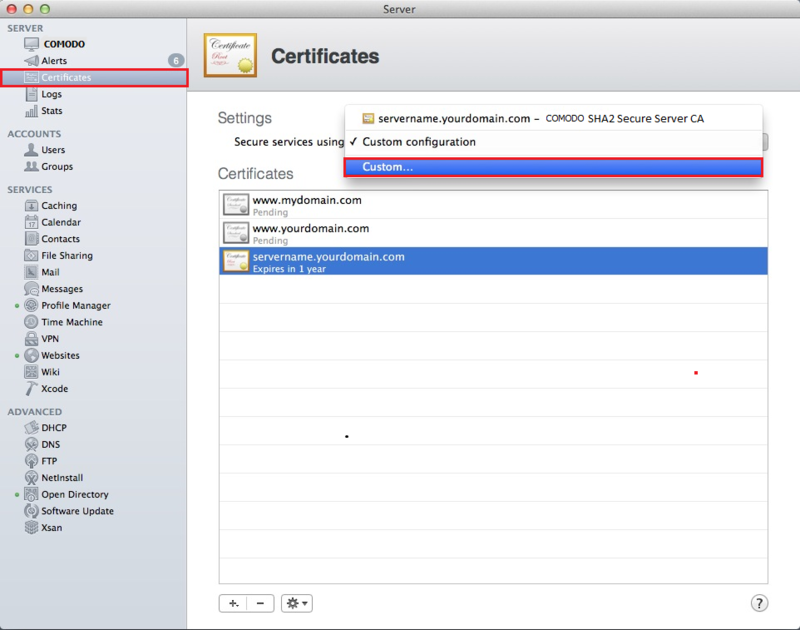 In the Service Certificates window, in the Certificate drop-down list, select your new SSL Certificate for each Service to which you want to assign it. 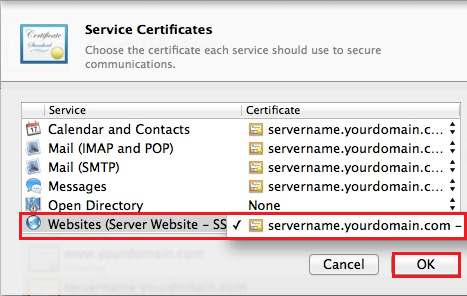 For example, in the Certificate drop-down list for Websites (Server Website – SSL) select your new SSL Certificate. When you are finished, click OK. Your SSL Certificate should now be installed and assigned to your respective Services.